I’m declaring 2016 the year of the socks. 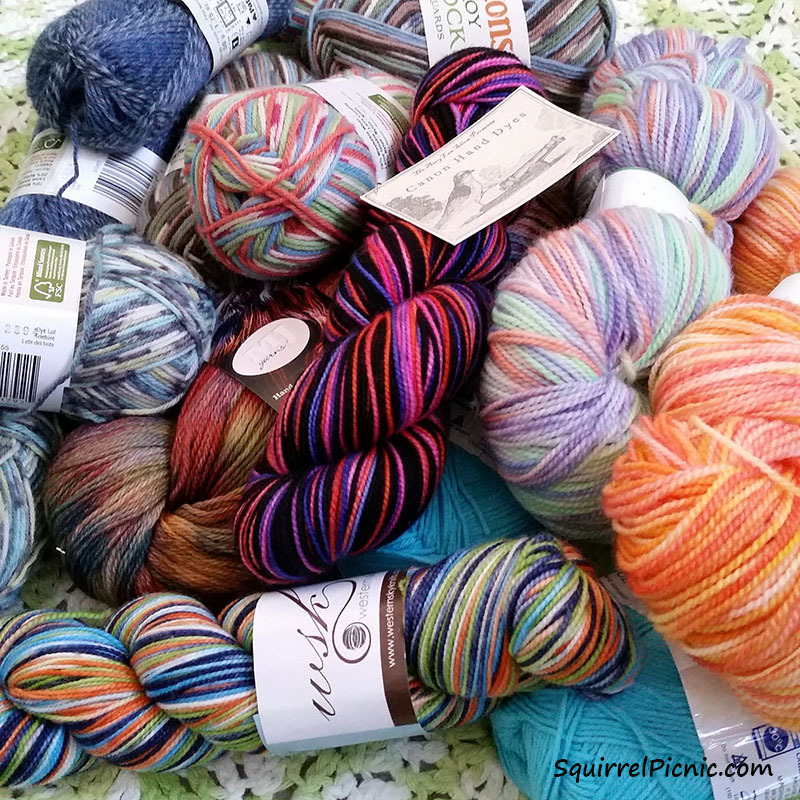 I just realized that I have accumulated a lot of sock yarn over the years. 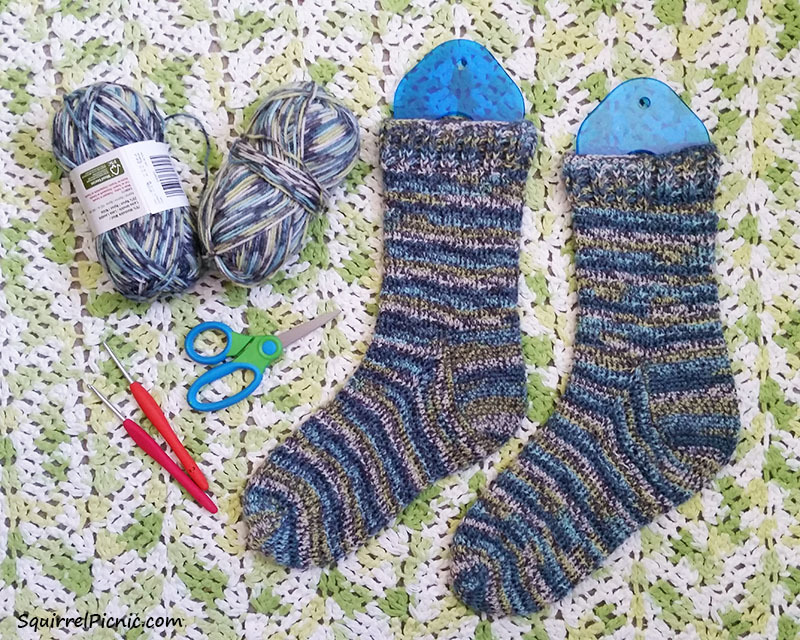 It’s the one thing I don’t feel guilty about purchasing when I go to yarn shows, because unlike other projects, you can pretty much bet that one skein of sock yarn will make a nicely sized pair of socks. Here’s my stash right now. I’ve tried knitting socks, but I am very slow at it. I even learned how to knit two at a time (on two circular needles) to try to speed up the process. But I was still pretty slow. I only got two pairs of socks made last year. So this year, I decided to try my hand at crocheting a pair of socks. 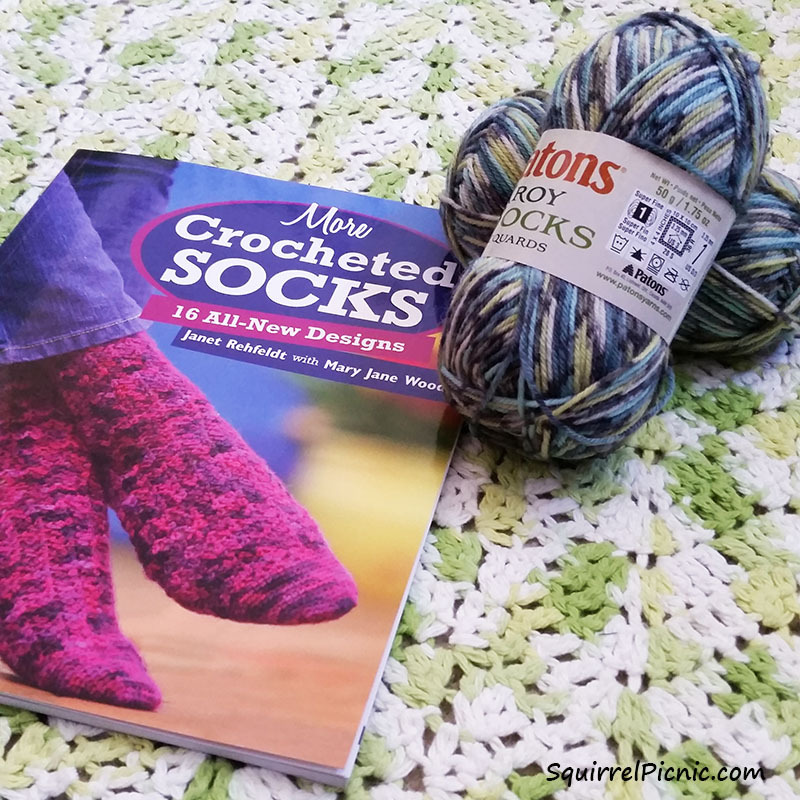 I found this fun book with 16 patterns by Janet Rehfeldt. I started crocheting my first pair on the plane from New York City, using the first pattern in the book, “Simple Simon.” And it’s just like the title… very simple. The construction is very similar to knit socks, but I was able to fly right through it. So satisfying! I ended up finishing my first pair of crocheted socks in one week! I think I will try to make this a regular monthly project. My new year’s resolution then is to crochet one pair of socks a month. I certainly have enough sock yarn for that. Welcome to 2016, the year of the socks! 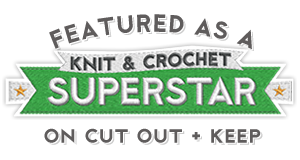 Categories: Crochet It | Tags: crochet, pattern, socks, winter crafts | Permalink. What a great crocheter you are!!! I prefer to knit,as you already know, but I use the DPN and still have to learn to knit with circulars…. I must try my hand at socks! I’ve been putting it off for far too long. At some point this year I will knit or crochet a pair of socks! Yay, Dominique! That’s the spirit. And when you do please share a photo. I’d love to see them! That’s right Holly! I dream of having nothing but handmade socks in my drawer. Imagine how colorful that would be! Great idea ! I cannot wait to see all your socks ! I love ’em. I have crocheted some socks. They are very warm, and comfortable. I even made a pair while on a vacation in Jamaica last year. They’re quick and easy to carry along. Can hardly wait to see more of them from you. Thanks, D’Ann! I love that you crocheted socks on your Jamaica vacation. That’s awesome! I was thinking the same thing when I took mine to NYC. It’s the perfect project for travel. 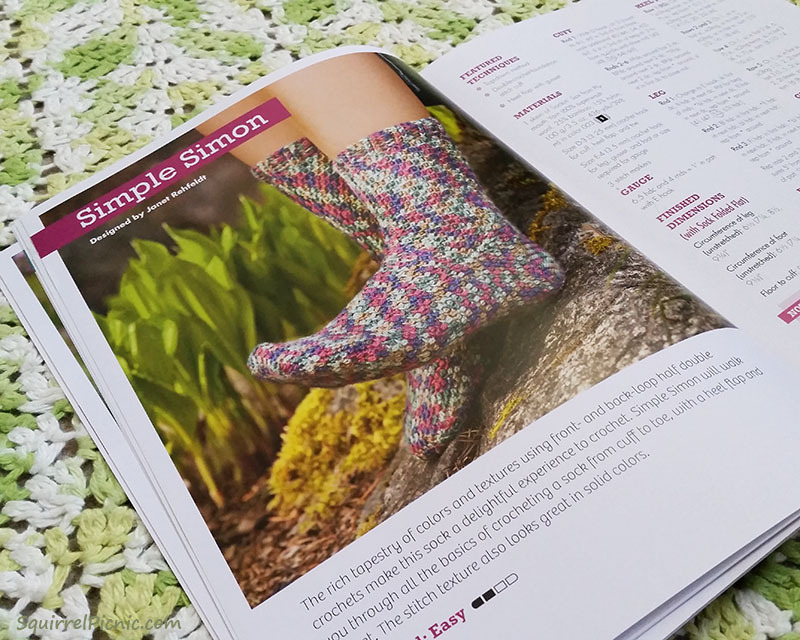 I have a book for crochet socks. I really must give it a go! You should! I had been putting off trying crochet for socks for a long time. I think I just assumed that they would somehow be inferior to knit socks. But they’re not! And they’re really fun to make. Yes, that was my thought too. The next sock will be crocheted!! Ha, ha, year of the socks 🙂 great idea! I’m looking forward to the upcoming socks! Thanks, Karin! And I’m looking forward to making them! Best of luck on your Australian nativity set. I can’t wait to see it!